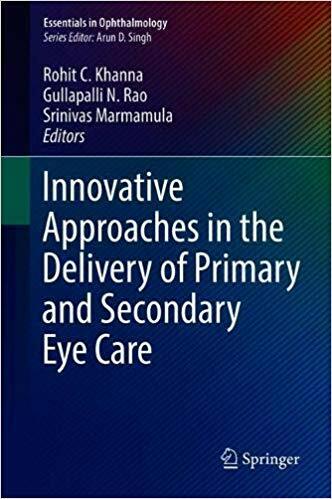 This unique book will provide readers with an understanding of innovative models of delivering both primary and secondary eye care, focusing not just on providing quality care itself, but on best practices to provide and strengthen comprehensive eye care services. A wide variety of conditions will be addressed in Innovative Approaches in the Delivery of Primary and Secondary Eye Care, including childhood blindness, cataract, diabetic retinopathy, age related macular degeneration, and refractive errors. Detailed descriptions of various models are presented for each condition, which are then followed by a discussion for incorporating integrated eye care services; highlighting the importance of health system approach in comprehensive eye care. 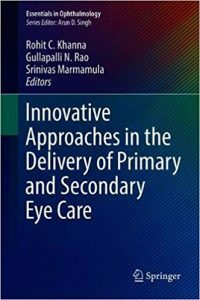 Finally, this book provides detailed strategies to address the current practical challenges related to human resources in eye care, and methods to ensure financial sustainability in the delivery of comprehensive care. Each chapter is illustrated for understanding and clarity, and provides easy-to-read tables to further enrich the text. Covering existing models of delivering care, with a look to the future, Innovative Approaches in the Delivery of Primary and Secondary Eye Care is designed for practicing ophthalmologists, residents, public health specialists and all other affiliated professionals dedicated to strengthening avenues of integrated, comprehensive eye care.